We Are Saved by God’s Grace Alone. We are a church meeting in Pearland Texas who believe ourselves to be called to be a “House of Prayer for All People.” We offer many opportunities to worship and serve our Lord and Savior, Jesus Christ. Our mission is to teach and equip people to live as Jesus commanded in Scripture, to encourage prayer and to believe in its power and importance, to embrace the unity that believers and their children have through Christ, and to promote open and clear communication among all. The Rev. Howard Reed is a native Texan raised in the small town of Eagle Lake west of Houston. He received his Bachelor’s degree in education and communications from the University of Texas at Austin and his Master of Divinity degree from Austin Presbyterian Theological Seminary. Ordained by Grace Presbytery, Presbyterian Church (U.S.A.) in 1984, Howard served first as assistant pastor for St. Stephen Presbyterian Church in Fort Worth. Since then he has also been the solo pastor or head of staff in churches in Texas, Ohio, and in England. 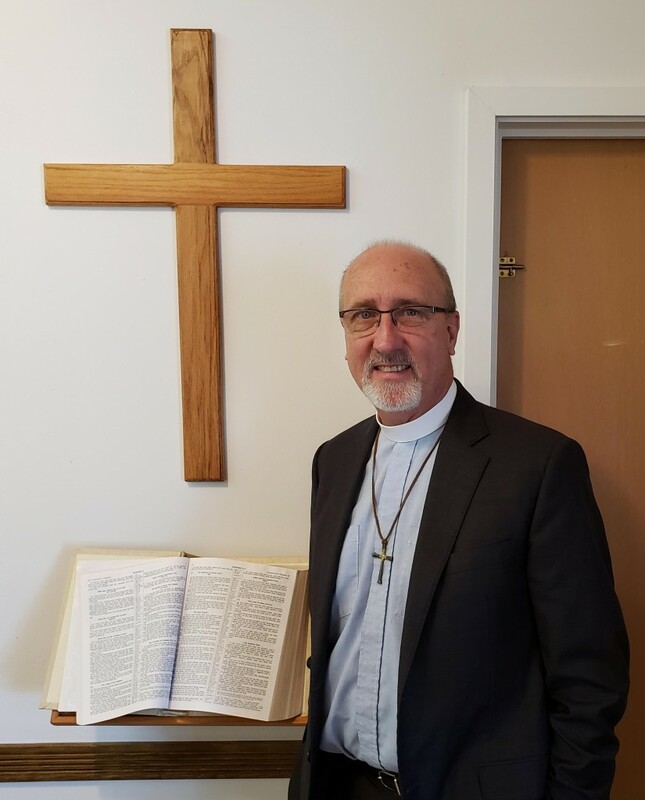 Starting in 2010 he has been a full-time interim or transitional pastor in six congregations in Texas, Oklahoma, and Arkansas. He has toured 48 states in the U.S.,19 countries in Europe, and worked as a volunteer for 2 months on a kibbutz in Israel. He has served on the national board of the Presbyterian Association of Musicians and other voluntary positions with the church. He is married to Larraine Lyter-Reed, a family nurse practitioner in Texas Children’s Hospital. He is the father of Clara V. Reed-Lee, and the late Ansel Reed who died from a genetic disease at age 20 in 2006, and he is a director of the Ansel Reed Children’s Enrichment Fund, a registered 501(c)(3) non-profit that supports children in need of financial support for improved physical, mental, emotional, and spiritual health. Howard enjoys the outdoors, gardening, hiking, swimming, cooking, music, and travel. C O M E V I S I T U S T H I S W E E K E N D .
HAVE AN IMMEDIATE PRAYER NEED? CLICK HERE. Presbyterian Church (USA) by visiting our Facebook page.